"General map of the region worked on by the Basel Mission in Canton Province, China." 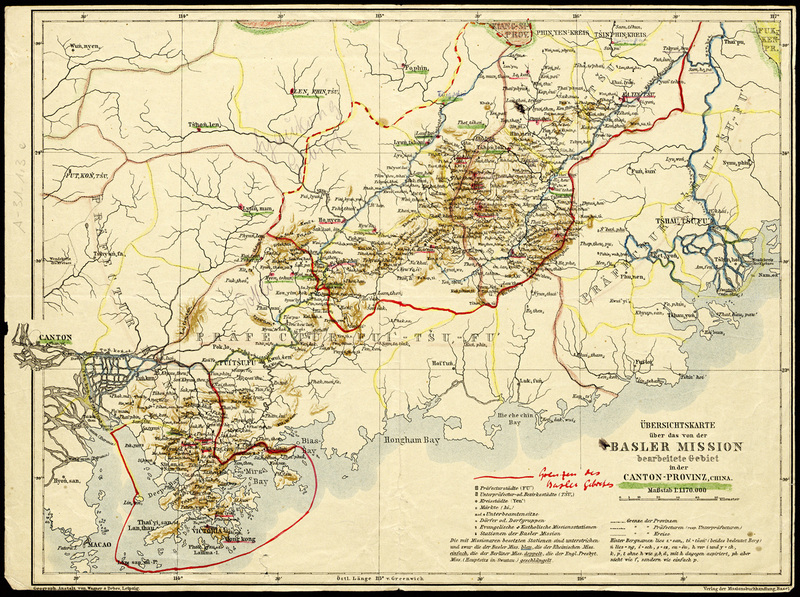 [English: General map of the region worked on by the Basel Mission in Canton Province, China.]" "[original caption] Übersichtskarte über das von der Basler Mission bearbeitete Gebiet in der Canton-Provinz, China." Ramminger, K., Sautter, A., Maisch, W., Lörcher, J. Title: "General map of the region worked on by the Basel Mission in Canton Province, China." Lörcher, J. , “General map of the region worked on by the Basel Mission in Canton Province, China.,” BMArchives, accessed April 19, 2019, http://www.bmarchives.org/items/show/100200117.